The proliferation of fatalities owing to preventable errors in the field of healthcare is swelling at an enormous rate. This can be traced back to the lack of effective co-ordination, perceptive thinking, and skill-based actions among healthcare professionals, which are essential during circumstances that are vital to the survival of a patient. The influx of simulation machines in the healthcare spectrum has come forth as a viable solution to tackle the issue. Healthcare simulators, or medical simulators, impel a fully immersive medical scenario for a learner or practitioner to handle. Via manikins, it replicates numerous real-life patient scenarios including voice-based responses as well as body control during the entire duration of the simulation. The simulators also facilitate video-playback which is crucial to outline performance outcomes during the debriefing process. However, to choose between simulated and non-simulated approaches continues to pose a challenge as all scenarios are not replicable. Hence, identifying a solution provider that offers the best fit solution becomes critical. 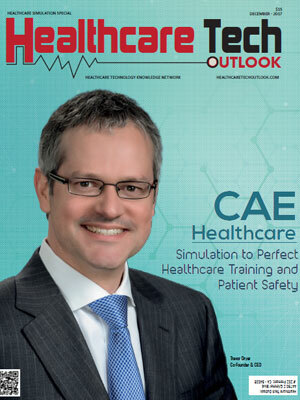 To help organizations find a suitable healthcare simulation solution provider, a distinguished panel comprising of CEOs, CIOs, analysts and our editorial board have selected the top players from the competitive field of healthcare simulation solutions. The companies mentioned in the listing provide quality simulation software that can be tailored to the specific needs of organizations and help maximize their investments. We present to you “Top 10 Healthcare Simulation Solution Providers – 2017”.